I recall fondly meeting Barbara for the first time just a few years ago while I was providing diabetes education services with a local physician group. Barbara was at wits end with her diabetes and struggling with momentum to keep the self-management up with all of her “other” life responsibilities. When I shared with Barbara that I was a pharmacist and diabetes educator, she seemed a bit confused, as often happens, as she had not met a pharmacist who was a diabetes educator before. I took some time to share how pharmacists work with persons with diabetes all the time. So, what are pharmacists, where can you find pharmacist, and how can they work with you in managing your diabetes? The old joke that pharmacists simply count by 5, put pills in a bottle and give the bottle to the patient is not true. Pharmacists are truly the medication experts. Pharmacists complete rigorous training in anatomy and physiology of human body, and pharmacology, medicinal chemistry and therapeutics of medications plus many additional courses. Today, all pharmacists graduating from pharmacy school earn a Doctor of Pharmacy (PharmD) degree. You will find pharmacists in community pharmacies, physician offices, clinics, pharmaceutical companies, hospitals (on the various floors and in emergency room), insurance companies, nursing homes and many other settings. The specific job responsibilities will vary depending on setting. 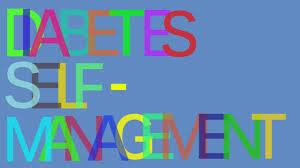 So how can pharmacist in community pharmacy or physician’s office (clinic) work with you to assist you self-management of your diabetes? Pharmacists can provide in depth counseling about your medications, such as how they work, any potential side effects, assess for drug interactions, how to administer insulin. Your Pharmacist can perform an annual or even quarterly medication reviews to assist in the selection of medications based on formulary (your insurance company’s list of preferred medications). Pharmacists who have advanced diabetes training can offer in depth diabetes education for those newly diagnosed or simply needing a yearly refresher, assist you in selection of continuous glucose monitor or insulin pump and provide focused ongoing support for diabetes self-management. Pharmacists can also provide your annual influenza vaccine as well as additional vaccines such as pneumococcal, singles and Hepatitis B (state laws vary in regard to pharmacist administration of vaccines). Back to Barbara…Barbara needed ongoing support and a sounding board to manage the challenges of life that created many obstacles in her diabetes self-management. In addition to being her sounding board, I also collaboratively managed her medication regimen with her and her physician. It was truly a partnership. 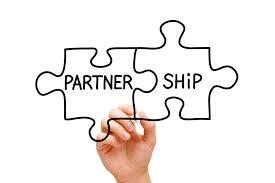 My life is forever changed through the many partnerships that I have formed with persons living with diabetes. 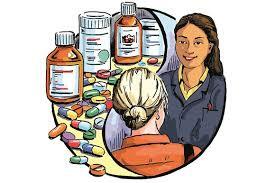 I encourage you to get to know your pharmacist as they are a great asset and support system in living with diabetes.